Archaeologists have found evidence of “incredibly rare” early human activity at a submerged prehistoric forest in the Outer Hebrides. The time detectives say the site is around 3500 years old. Work on discovering it is still continuing – particularly over carbon dating the finds more precisely. But they are “very excited” by the discovery. Archaeologists have described the discoveries at Lionacleit as “extra special”. Joanna Hambly, a research fellow at Scape, said: “An unexpected discovery during the fieldwork was the realisation that archaeological remains survived in the intertidal zone. We are very excited by the finds. “These include a wall, the possible remains of sub-circular stone structures which could be houses, a quern stone and butchered animal bone associated with struck quartz tools. 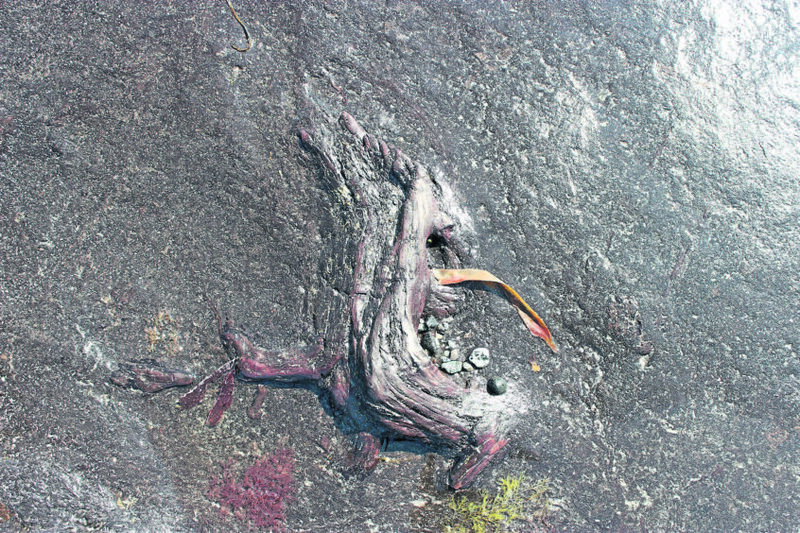 Prehistoric wood preserved in peat at Lionacleit. 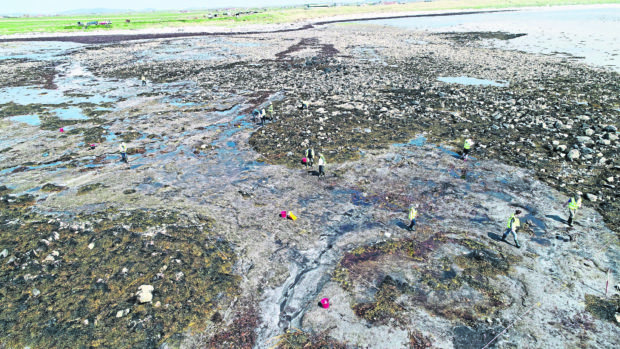 Dr Hambly, thanked in particular Kevin Murphy of the Western Isles Archaeology Service for his help on the project, and added: “These remains are all much closer to the beach than the forest, and are almost certainly much later in date. From 6,000 to 4,500 years ago the woodland declined, and by about 2,800 to 2,500 years ago the isles “were more or less treeless”, said Scape. Rising sea levels, a wetter and windier climate and human activity were all factors behind the island forest’s decline. “None of these factors is unique to the Western Isles, but the trees growing here were at the limit of their environmental tolerance and so unlike other places, the forest didn’t regenerate,” said Dr Hambly.